Strong, fire retardant and lightweight! 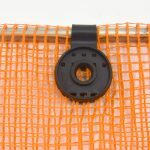 SBN-427 debris netting is strong, fire retardant and lightweight. 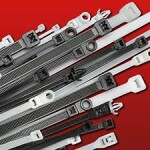 This netting is made from PVC-coated polyester and has reinforced borders for added strength. Available in high visibility fluorescent orange with openings measuring approximately 5/32″ x 5/32″. SBN-427 meets NYC Local Law #61 and OSHA requirements, and stays flexible in cold weather.